GoPro's HERO5 Black camera gives you the convenience of 4K video, voice control, one-button simplicity, touch display, and waterproof design. 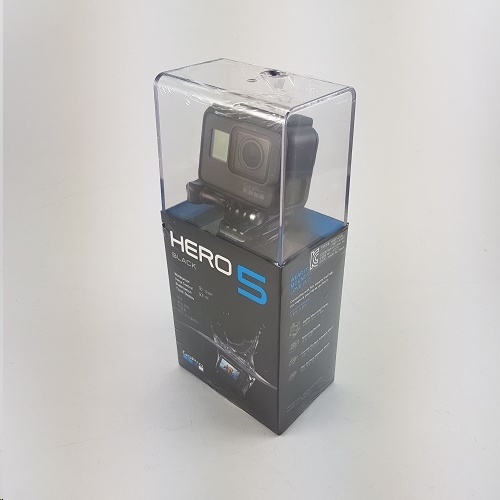 Smooth stabilized video, crystal-clear audio, and pro-quality photo capture combine with GPS to make HERO5 Black simply the best GoPro. Directly upload footage to your GoPro Plus cloud account for easy access on your iPhone.